At left: Chopin at a sound poetry performance. At right: sample dactylopoème or typewriterpoem. By passing the same sheet of paper through the typewriter multiple times and at varying angles, Chopin achieves this design. But throughout his 50+ year career, Chopin was prolific also as a painter, graphic designer, typographer, and film-maker. He published dozens of volumes of his audio-visual magazines “OU” and “Cinquième Saison,” as well as many original books, collage works, installation pieces, and writings. While he was careful to remain unaffiliated with any particular grouping–he called Lettrism “a dictatorship”–and cherished his artistic independence, he nevertheless collaborated and corresponded constantly with other leading figures of the European avant-garde. A big portion of his collection are various books, letters, and art pieces dedicated to him by the likes of Raoul Hausmann, Brion Gysin, Francois Dufrene, William Burroughs and Gianni Bertini. His connections across Europe and disciplines reveals he was a major point of contact on the international post-war art scene, and through tracking this network we can index the ever-shifting preoccupations of the avant-garde. By manipulating modern-age technology, Chopin seeks to access the primal expanse of communication, the infinity beyond symbolic meaning. The tape recorder makes possible the elongation and elaboration of sound shapes, makes audible the normally inaudible. Similarly, the typewriter, in its perfect repetitious typescript, showcases the “architectural skeleton” or pure form of letters and words. In this way, Chopin simultaneously engages the mysterious archaic and the mechanical state-of-the-art. Perhaps this interest in the intersection of modern and primal can be traced back to Chopin’s experience of the Nazi regime, with its prehistoric violent warfare and hatred in a modern technological context. After France fell under German occupation, he was captured and sent to a POW camp in the Czech Republic from which he managed to escape. After spending time with the advancing Red Army, he was recaptured by German forces and sent west on a Nazi “Death March.” It was then he discovered the power of “extra-verbal communication.” He also lost two brothers in the war, both, like him, renegade spirits who didn’t share Henri’s luck. The sounds he creates, then–from vibrating nose hairs, to farts, hisses, and labial snaps–become profound expressions of human existence, made possible, perhaps, by his very own humanity having been called into question. Beyond the obvious quirk and hilarity in his work, there lies beneath a deeply poignant creative act. From his “Concerto en Zhopin mineur,” a simultaneous play on the “z” sound and the “z” formation. Much of his library (around 500 books) is catalogued and available for study, and his amazing archive forthcoming. An exciting archive came to auction in 2009: the papers and personal effects of Anna Catherine Bahlmann (1849–1916), a governess and companion to several prominent American families. Among the collection were one hundred thirty-five letters from her most famous pupil, Edith Newbold Jones, later the great American novelist Edith Wharton. Remarkably, until now, just three letters from Wharton’s childhood and early adulthood were thought to survive. Bahlmann, who would become Wharton’s literary secretary and confidante, emerges in the letters as a seminal influence, closely guiding her precocious young student’s readings, translations, and personal writing. Taken together, these letters, written over the course of forty-two years, provide a deeply affecting portrait of mutual loyalty and influence between two women from different social classes. This correspondence reveals Wharton’s maturing sensibility and vocation, and includes details of her life that will challenge long-held assumptions about her formative years. 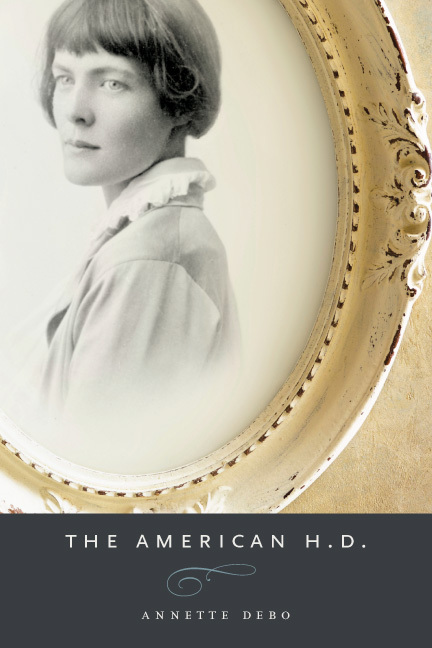 Wharton scholar Irene Goldman-Price provides a rich introduction to My Dear Governess that restores Bahlmann to her central place in Wharton’s life. Irene Goldman-Price has taught literature and women’s studies at Ball State University and Penn State University. She serves on the editorial board of the Edith Wharton Review and has consulted and taught at The Mount, Edith Wharton’s house museum in Massachusetts. In 2010–2011 she was a visiting fellow at Yale University’s Beinecke Rare Book and Manuscript Library, where the Wharton letters are held.